Coming off a string of great races in October, the Runnababez toed the line of the St Louis Track Club Half Marathon to tackle the hills of Clayton. Despite racing either a half or full marathon only a couple of weeks earlier, Lisa, Cheryl, Amanda, and Amy couldn’t resist the opportunity to represent St Louis amid an international field full of some amazing talents. They used the first couple of downhill miles to shake some of the rust and stiffness out of their legs and settle into a good rhythm. Lisa and Cheryl loosened up first and developed a solid cadence relatively quickly. Amanda and Amy got the opportunity to deal with their rough patch early on. They did not panic though, and were rewarded with things gradually smoothing out as they wound their way through Forest Park. With a goal of chasing after the line of Kenyans as they loosened up, Lisa and Cheryl started attacking the course through the middle miles. The fatigue of their recent races still lingering in their legs, they were still on PR pace with 5k to go. Amanda and Amy were also turning in stellar performances as they found their stride. As they tackled the 2+ mile final climb back to the finish line, all four of the women had to fight every step to keep it together and not let the pace slip. They all showed the toughness, tenacity and resolve that makes them champions. 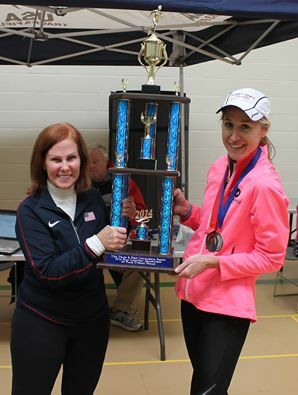 Lisa led the way across the line with a new PR of 1:22:13, earning the USATF Mid America Region Championship. Cheryl followed close behind in a season best 1:22:41. Amanda made it a sweep of the Regional Championship with her 1:26:25. Amy followed up the best marathon of her life only a couple of weeks back by coming just a couple minutes short of her PR on yet another hilly course. Despite coming in a bit tired and sore, the Runnababez battled through the line to represent their hometown in their hometown’s race. Racing isn’t always about lining up when you’re at your best. More often, it’s about testing yourself when it’s rough and you have to, “Badger Up!” The Runnababez exemplified this at the St Louis Track Club Half Marathon. They gave all that they had and came out successful. What better way to tackle life and running? 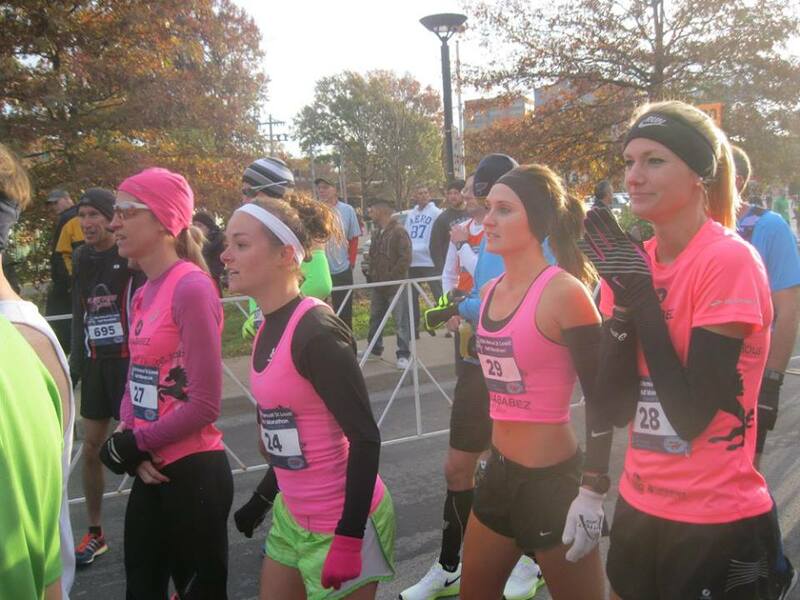 ← Lisa 2nd, Amy 4th overall in STL Rock & Roll Marathon! Amanda 2nd overall in Half Marathon!